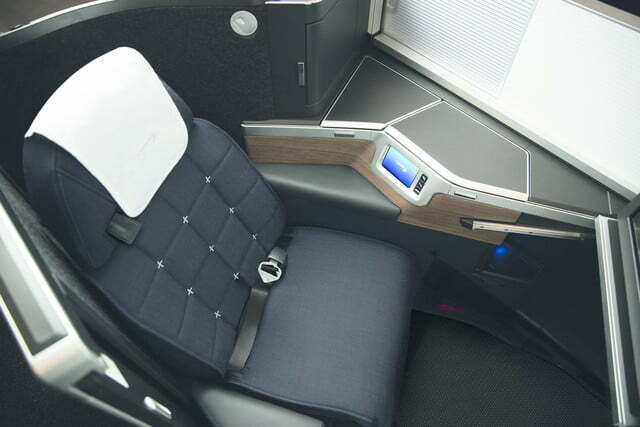 British Airways has just unveiled a new Club Suite option for business class that’s set to debut on its incoming Airbus A350-1000 fleet later this year. Each suite features its own door for more privacy, though it’s not fully enclosed, so passers-by can still peer in. Still, the addition of a door in this way makes B.A. 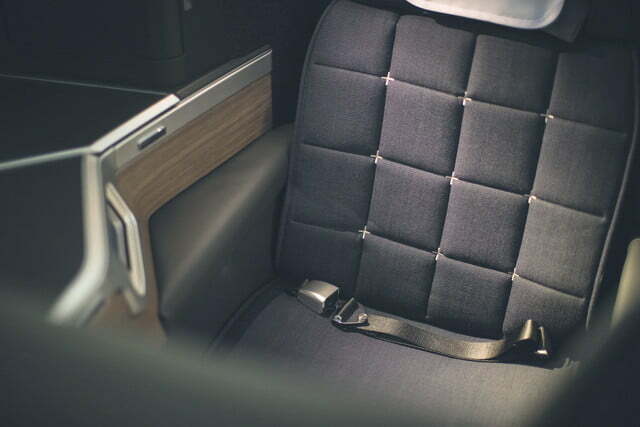 one of only three airlines — Delta and Qatar being the other two — to include such a design for business class passengers. 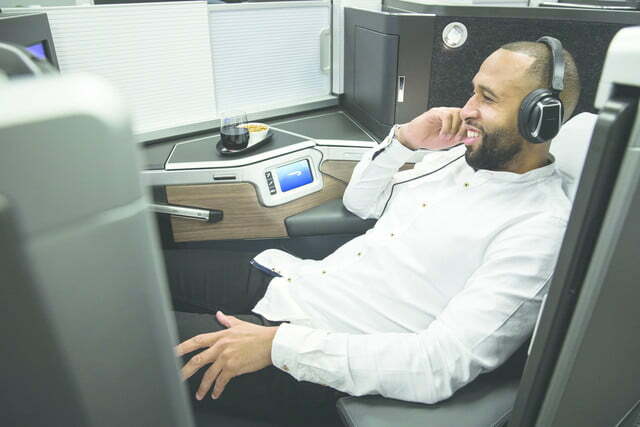 Travelers booking a Club Suite can also enjoy flat-bed seating, an 18.5-inch inflight entertainment screen, free Wi-Fi, power outlets, and 40 percent more storage than its current business class offering. There’s even a vanity unit and mirror so you can spruce yourself up from the comfort of your seat at the end of a long flight. The seats will be arranged in a new 1-2-1 configuration, notable as it means passengers in the window and middle seats will no longer have to clamber over their neighbor to get to the aisle, as happens with the current 2-4-2 design. 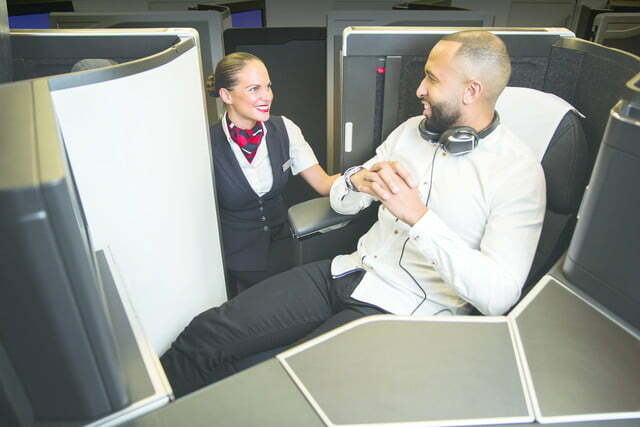 Not surprisingly, B.A.’s decision to cram in high-paying passengers in this way has been a big complaint among its business class passengers, so the new configuration is a significant step forward. The Airbus A350 aircraft features 25 per cent lower fuel burn, which significantly reduces CO2 emissions. 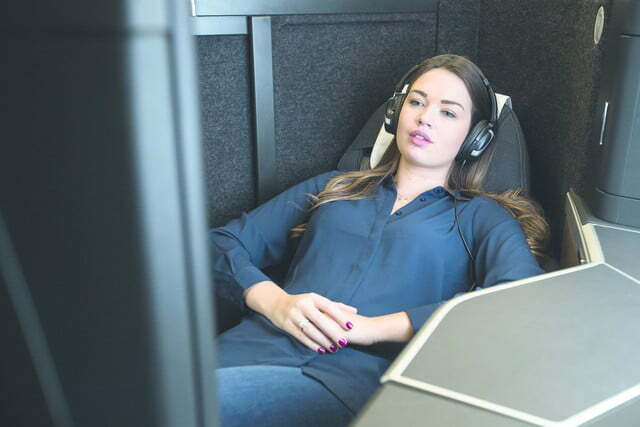 Inside, fliers will experience reduced noise levels and ambient lighting that’s designed to match the time of day and outside light. 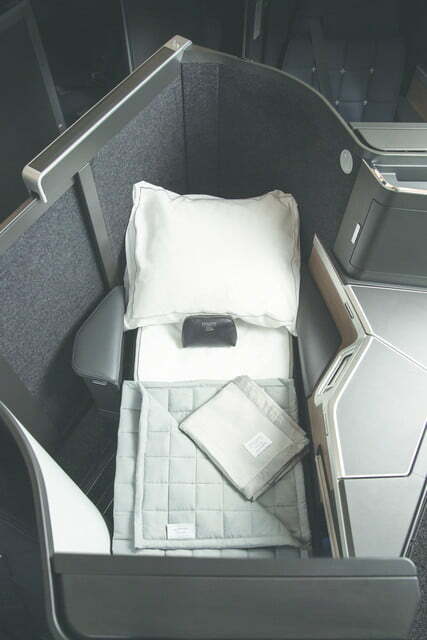 The Club Suite will debut on the new A350 aircraft in the fall, kicking off with short-haul routes in Europe. After that, the carrier will set about phasing in long-haul routes for the aircraft. B.A. 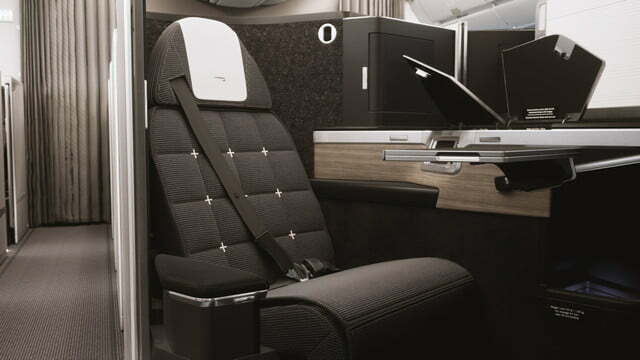 will also retrofit the Club Suite on a number of Boeing 777 aircraft flying to long-haul destinations.